For students who have less experience or who are new to violin, using method books such as Suzuki or RCM books as well as additional technique training accordingly. Students will be encouraged to learn to play violin with accurate rhythms, intonations and, most importantly, to enjoy music. For students who are aiming for RCM Exams. Students are expected to practice regularly with good intonations and rhythms. Piano accompaniment will be arranged for exams. Whether you are interested in learning the violin or just pick up what you had left at young ages, this is a good lesson for you. 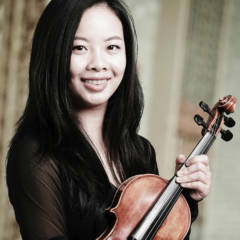 First, get the fundamental skills ready, and then start to enjoy playing the violin as a hobby.